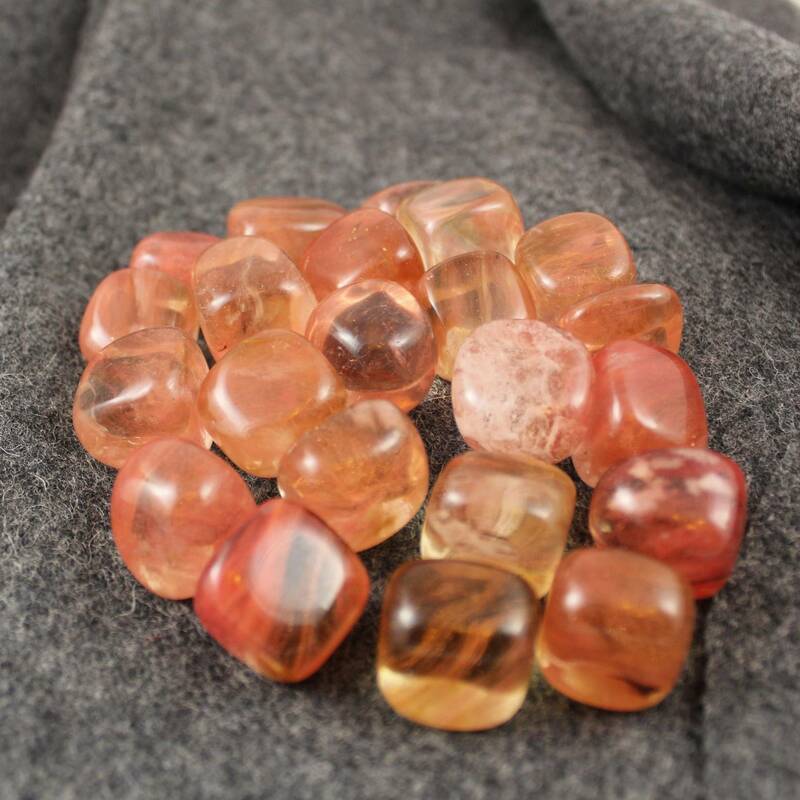 Medium sized Tiger Glass tumblestones, from 20-30MM approximately. 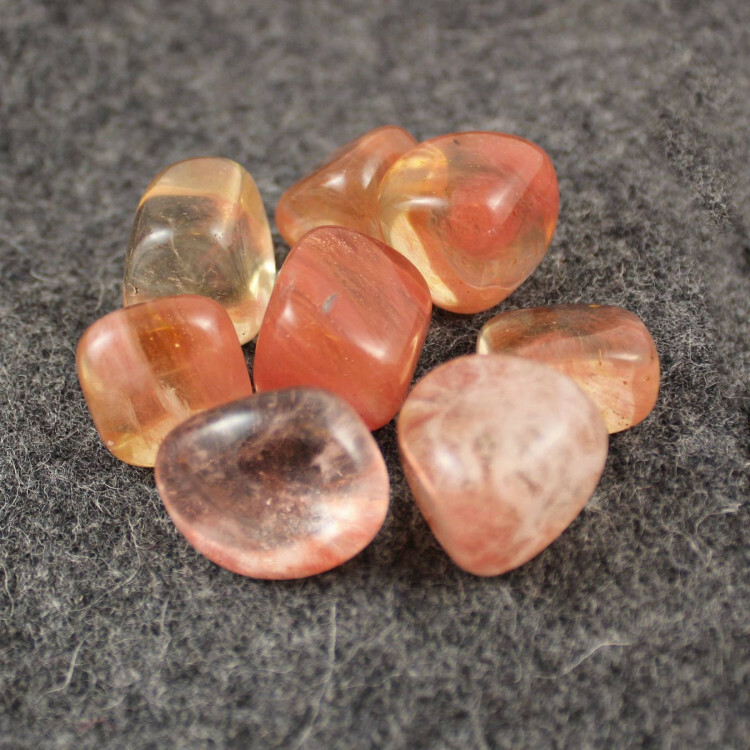 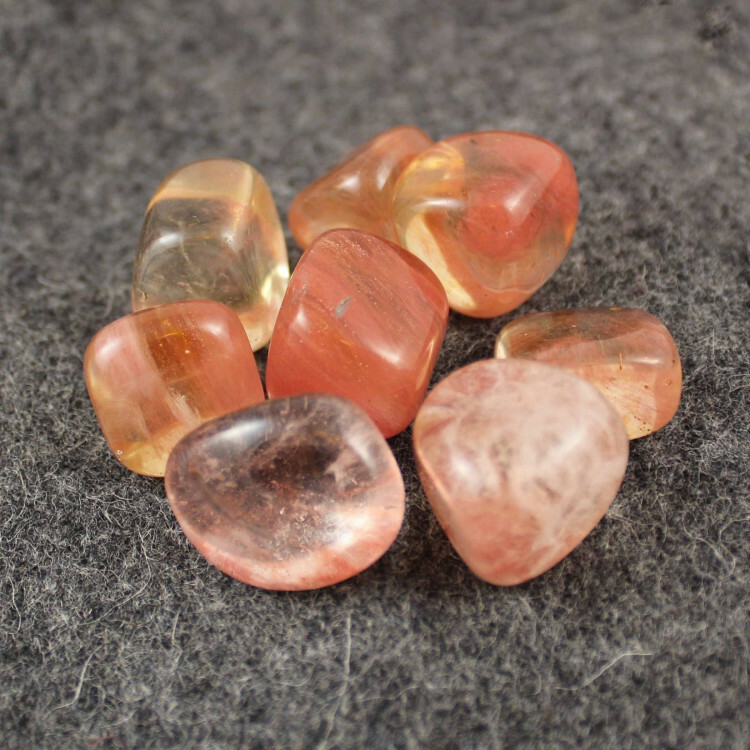 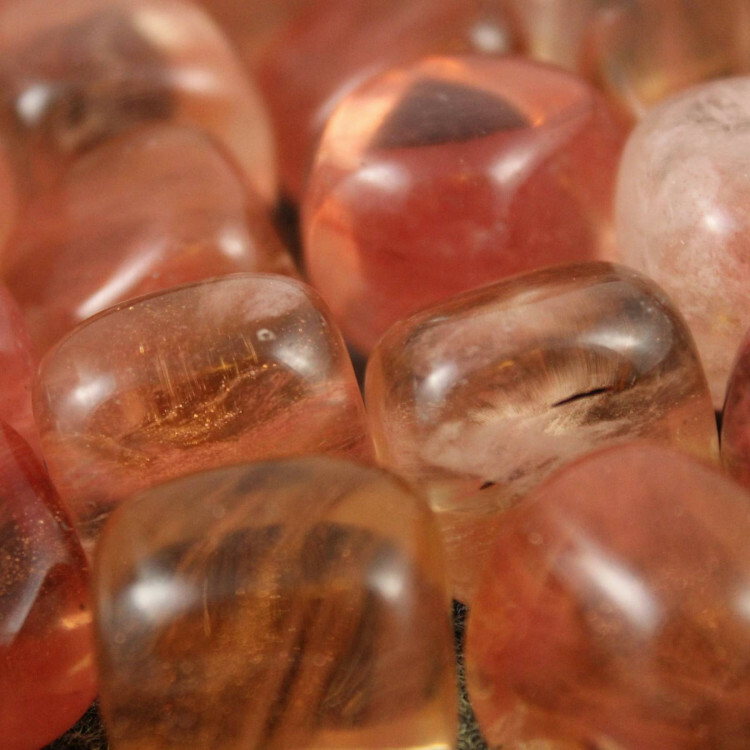 These tumblestones are made of coloured glass, usually full of pale reds, pinks, oranges and yellows and are quite clear. Because it is an orangey-red ‘stone’, these pieces fit in well with a ‘fire’ display, of reds, yellows, and oranges – they kind of remind me of a desert. These pieces are a man made glass, and likely named to confuse potential buyers of Tigers Eye or Tiger Iron. 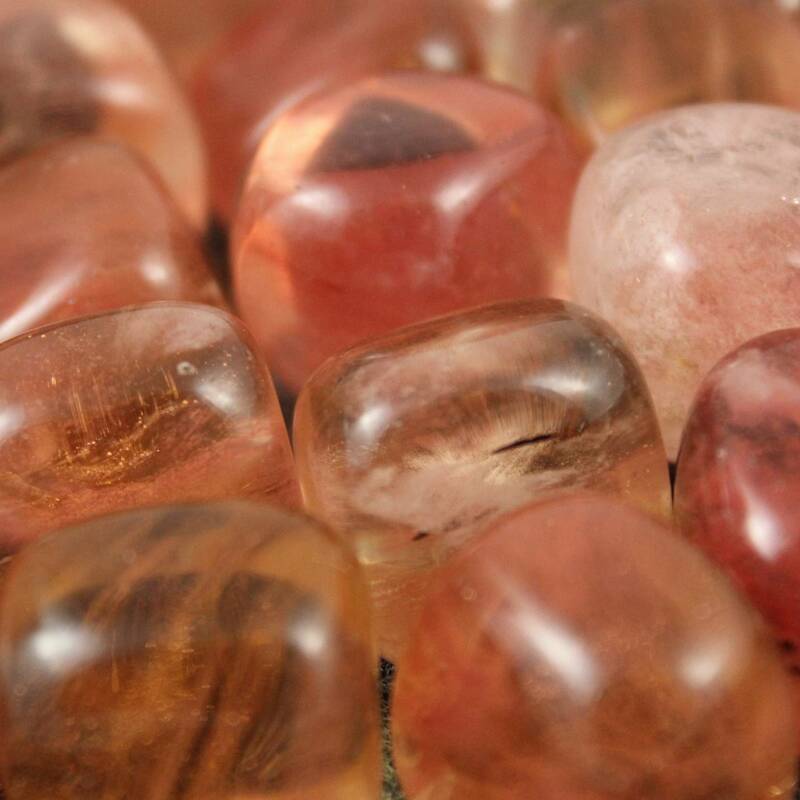 For more information about Tiger Glass, please see our main Tiger Glass category.